Oh, man. My final thoughts on 11/22/63. I think I've finally recovered from my grief over finishing this book. It's so rare for me to get physically depressed when I finish a story! I love it, though!! It's one of the few rare finds I cherish when reading. If you haven't read 11/22/63, I highly recommend you check it out. You should also wait until you've read it to read the rest of this post because it will contain lots of spoilers. Do feel free to read my spoiler free review of 11/22/63 here, but I can give you the short version. "I loved it." If you have read 11/22/63, I'd love to read your thoughts in the comments! Spoiler thoughts on the first half of 11/22/63 can be found here. I have a question for you guys! After Jake was beaten at his home in Dallas, his neighbor - the lady in the pink nightgown - got help for him. Is it my imagination or did Sadie not find her and buy her flowers? "the walker-lady (Alberta Hitchinson; Sadie sought her out and brought her a bouquet of flowers) stood over me on the sidewalk and hollered until a neighbor came out, saw the situation, and called the ambulance that took me to Parkland." Why did we have a billion chapters (slight exaggeration) after that with Jake and Sadie trying to remember where he lived?! Um.. he lived by the walker-lady in the pink nightgown! What am I missing here? I'm hoping someone can tell me where my misunderstanding lies. Jake's recovery was the only part of the book I didn't love. I know it was a necessary evil to bring us to 11/22/63, and the past is obdurate, but it was the one area of the book that hung for me. Other than that, I hope you guys loved this book as much as I did! I'm not a romance reader but I fell in love with Jake and Sadie. When she asked Jake if he was from the future - I absolutely loved that! It was completely perfect that he didn't even have to tell her! As heart wrenching as it was at the end, I loved that part of Sadie remembered Jake. After learning more about the yellow card man (whoa! ), I thought Jake and Sadie's last meeting was perfect. What did you guys think about the natural world and possibly reality being affected so greatly by Al and Jake's travels? I'd still love to know more about the yellow card men! I can't help but wonder if the doors in The Dark Tower work like the portal in Al's Diner since the yellow card man said there were other portals like Al's. I look forward to making the rounds today and hearing all of your thoughts! I'm very excited to welcome Lee Thompson to Book Den today! Before Leonora Wakes was one of my top favorite reads of 2011 so I'm super stoked about his post today. A big thanks to Jennifer for all the support and faith, as well as so many others. In thanks I wanted to offer up a little treat. In the first Red Piccirilli book Before Leonora Wakes (which is also the start of my Division mythos), Red had to find the strength inside himself to overcome something much larger than himself even though he feared he had little strength to begin with. And near the end of that first book he received both a blessing and a curse from a dark princess that he comes face to face with again, amongst many other wicked creatures, in this book Within This Garden Weeping. So, I present to you the start of the second Red Piccirilli book which will hopefully see publication within the next year or so. It’s a fun coming of age story but there is also a lot of danger, lessons for Red to learn, and more strands added to the reality supporting other realities. Enjoy. 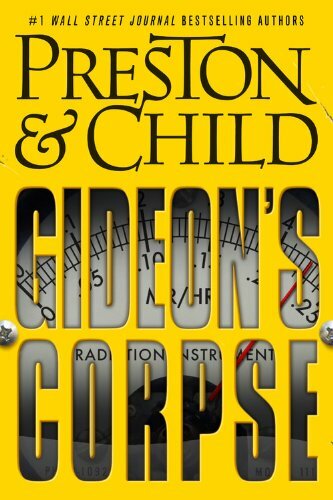 Two summers ago, when Red Piccirilli was in the seventh grade, everyone thought he and Amy Lafond were kidnapped by some sicko-pervert, and Red let them believe that because it was so much easier to accept than the truth. In his new bedroom he sat on the toy chest he’d always had, the one from the house in town where the magic happened and tragedy unfolded. It was very different here than it was in Kingston. English Road dead-ended, right where the little dingy trailer sat up on a hill with an oak tree in the middle of the turnaround, the trunk as thick as his dad’s Buick. He toyed with the band-aid on the top of his left hand, fingers flicking back and forth over the edge of it because he wanted to look at what lay beneath it again, but he didn’t believe he had that much courage, no matter how brave Amy, Maggie, and the missing Mr. Blue had told him he was. Outside, the sky burned bright over trees shedding leaves, and beneath the sound of his mother bustling in the kitchen, beyond his closed bedroom door, something hummed in the swamp at the back of their new property. The sound of a car jostling through the ruts in the washed-out road broke his discontent. Red stepped to his bedroom window. A plume of dust hovered around a beat up maroon Impala that looked as big as their new home clamored and spit black smoke as it pulled off the road and took a hard left into the drive. 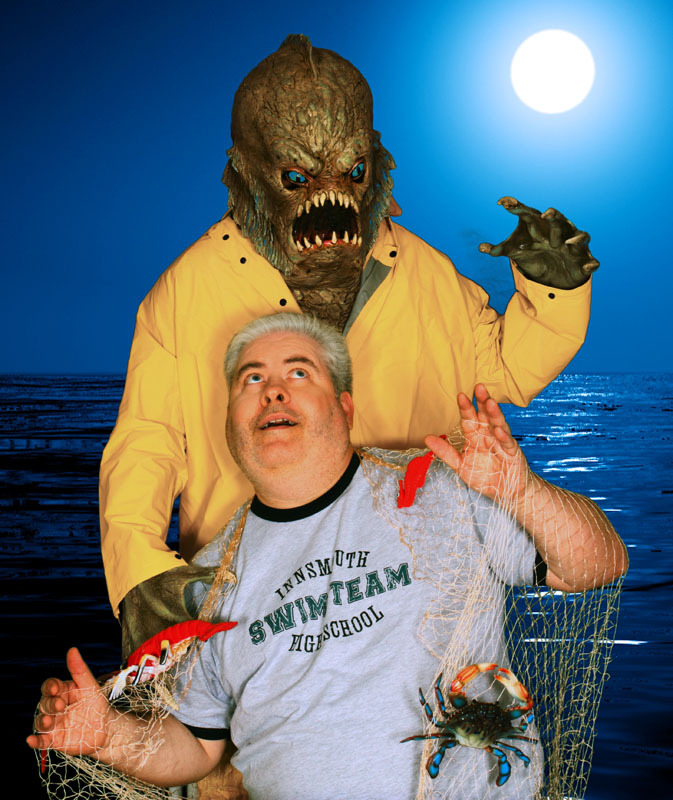 For some reason the rundown beast made him think of Mr. Blue, the missing angel. The car stopped between the oak and front porch and Red’s mom yelled something back to him but he didn’t hear her because the car hissed and growled. Red studied the car but its shape up close blurred. Sunlight glared off the windshield. A dark shape moved behind it. Red left his room and walked to the front door and looked through the screen. A tall, gangly man stepped from the car, his clothing battered and wrinkled, slightly frayed at the edges of his arm cuffs. The stick-like man stepped slowly around the bumper, his dirty black boots kicking up dust. He had the shine of the vagabond about him. Red could picture a door to door salesman lost in this age, displaced, useless, seeking one last trip across country to find out if his life held any real meaning anymore. As he approached, Red noticed the man walked with a slight limp, dragging his left leg behind him, drawing a line in the driveway. 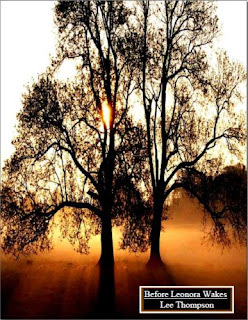 He grimaced with each step, but when he saw Red standing behind the closed screen door, he smiled, his yellow and black teeth glinting in the sunlight that filtered through the oak’s branches. A bird called from somewhere and made Red think of Mr. Blue again, how the ravens that grew from his shoulders cawed bittersweet melodies in his dreams, all of them only wanting truth and goodness to win, but only becoming more lost in their fight for it; because to give all of yourself to something was to give it absolute control of your life. As if reading his thoughts, the man smiled wider and Red shivered. The traveler nodded his head in a sharp, quick movement. Red stepped back, his voice caught in his throat as the man raised his hand like a gun and dropped his thumb as if firing. Red jumped as his mother’s hand closed over his shoulder. Red whispered, “Who is he?” because the man was nearly to the door, the shoe on his bad foot making an awful scraping sound as he climbed the steps. His mother rubbed a hand through Red’s hair and he flinched and ducked away because she pressed down really hard. The air smelled of burning paper. And when Red glanced at the man’s eyes he saw a fire consuming his pupils. Red inched into the kitchen, ashamed of himself for hiding. He considered grabbing a knife but he knew how ineffective steel was against things like this. Red’s mother cleared her throat. “What are you doing here?” Hands balled at her sides, she leaned toward the screen as if studying an insect, her face pale, a slight tremor causing the muscles in her jaw to twitch. Red didn’t think he’d ever seen her work so hard at keeping her cool, except for the time she’d told him what she thought of Amy’s family, how they were all drug addicts, a blight on society, and would never be anything more. Thinking about it angered him and he wondered how different this man was from anyone else. Sure, he had a crappy old car that wilted the leaves on the oak, and his clothes looked so bad that the Salvation Army would throw them right in the incinerator, but did that make him a bad person? He reasoned that what he thought he seen in the man’s eyes was nothing more than his overactive imagination. Red almost said out loud, Did you used to date him? Before Dad? Or is he family? He slid closer to the wall, wanting to get a glimpse of the man, to see if in that ragged old face he saw an estranged uncle or grandfather. He’d always thought it odd how little contact his parent’s had with their families. It didn’t seem normal. The stranger yawned and said, “I’m so tired. 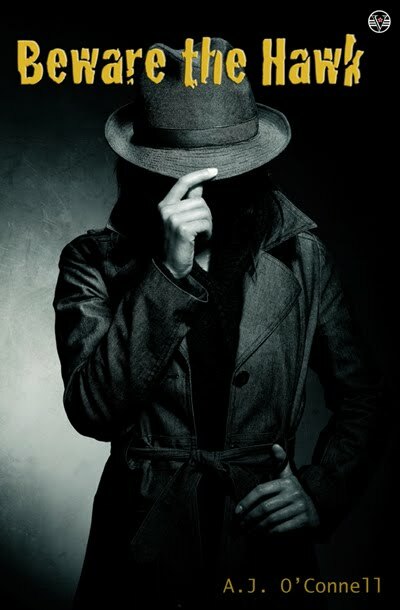 I’ve been searching for so long.” His shadow stretched through the door, tendrils of near-night, and some of them lovingly stroked her neck while others probed deeper into the living room. Red stepped back and held his breath. The man simply nodded, old worn neck creaking as if someone had wrapped a rope around it long ago and left him to deal with the punishment. His shadow receded from the step though Red had the feeling he’d never moved. A moment later the car pulled past, a blur of red and black as it followed the turnaround, and the large oak swayed in the coming storm’s building wind. His mom told him to go to his room, that she didn’t want to talk about the stranger, so he did, grudgingly, irritated that she couldn’t just tell him who the man was, and why he was there, expecting her to talk to him like an adult since that was what she usually expected of him. Red shook his head and thought, Christ, I’m almost fifteen. She can tell me things. He opened the bedroom window and looked over the forest. Wind whispered through the trees, carrying a message that other boys, normal ones, might fail to hear but he picked up on. Red listened for a while then climbed out the window as his mother cranked the stereo in the living room to drown the sounds of her demons. Sinatra thundered against the walls. Once outside, he looked over the rough lawn, not much more than twenty feet of it to the wood line and the swamp nestled in its arms. Water dripped in the swamp. Red’s dad had warned him not to play back there because years ago, when the Tuscola County Road Commission was building English Road, they’d come across quicksand and lost a lot of machinery and a few men in the bog. The danger of it excited and scared him and it reminded him of things he’d have rather forgotten forever because to dwell on them only made his chest hurt. But he couldn’t help but thinking, Part of me still misses Pig. He wiped his eyes, knowing that if anyone from school was around they’d have called him a girl for struggling with his emotions. But he thought they would have struggled too if they’d been through what he had. He shrugged against the chill crowding the air and considered climbing back into his room to grab a hoodie, but something moved in the woods and shoved the thought away while he was still wrestling it. The chill against his cheeks and hands deepened. A raven flew through shadows beneath dark limbs, weaving around branches, its wings beating furiously, beak snapping at the air in what almost sounded like a child crying. A swarm of dragonflies zipped around the bird. He wanted to look away, to check his surroundings, but he worried that he’d glance to his left and the odd man who’d stopped in earlier would be sitting on a rotten stump, folding shadows with deft hands, smiling because they were alone. Red’s heart pounded. He glanced around but didn’t see anybody. Better safe than sorry, he thought. His nerves on edge, he crossed the lawn and stopped behind a birch tree, nervous and unsure why, other than that he sensed something in the air as the raven and insects made a circle in that small section of the forest. The unease inside him worsened as the buzz of dragonfly wings grew louder. They passed and the leaves above him trembled. The insects rammed the raven, all at the same time, hitting it like a giant fist. The bird tumbled in flight and crashed against the earth, its collision vaporizing broken sticks and years of dead leaves. A cloud of dust hung in the air. Red gasped and scooted closer to the birch, careful to peek around it, wanting to watch and yet look away because he’d never seen dragonflies be so aggressive, or act of a uniform mind. The buzz faded and then grew louder again as they flew off and came back in a sharp arc, all of them intent on making sure the raven was wounded or dead. The bark was chalky and smooth to his touch. The knees of his pants grew damp. The dragonflies spun in a circle like a tornado of transparent wings, flying closer and closer until they all touched, merged, and their dimensions lost their individuality, all of their eyes poking out from the whole, looking every which way, casting yellow light over the forest floor until the creature stooped and rummaged through the leaves—its hands composed of many moving parts, the buzz of their wings soft whispers as they shifted around each other to produce grotesquely precise movements. He held his breath. Sweat formed and stung his eyes. He wanted to wipe it away but he didn’t want to move, didn’t want to be seen by this strange creature hunting its prey. The thing stood, in the form of a man, holding the damaged raven. One of its wings was clasped tight to its side, the other akimbo, broken, and pointed directly at Red. The Dragonfly Man ripped the damaged wing free as it chattered and the raven screamed with the voice of a very small child. Red gripped the birch tighter, wishing he could step from behind it, but he’d been in a situation like this before—when he’d first followed Mr. Blue home at the beginning of last summer and seen Leonora trapped in his shed. The crow cried again as the dragonflies closed a squirming hand over its throat. Something snapped like a twig. Red looked away, ashamed of himself for it, and frightened too because if the strange creature learned of his presence, so close to the backyard, it could endanger his family. He wished Amy was there. She was smart, could think on her feet. And no matter what anyone else thought, he knew that she was much braver than he could ever be. He thought, Amy would know the right thing to do. He blinked as sweat stung his eyes and he wanted to move but his hands were slippery on the trunk of the tree and he didn’t have any strength in his legs. Fearing that his mother would check his bedroom and find him missing, and then come outside looking for him, Red found what little strength he could and stepped back slowly, keeping the birch between him and the monster. Every small twig breaking underfoot sounded like a storm tearing trees apart, but he made it to the edge of the lawn, the trailer right behind him, its shadow cool, chilling the sweat soaking his shirt. He shivered and drew his arms around himself and shook his head. A whisper blew through the forest like a coming winter wind though fall had just started, and darkness rose from the trees as dragonflies claimed the sky, until the beat of their wings faded, and Red stumbled back hearing the old man scratching on the screen door, whispering with the voice of things lost and ancient. Thank you so much for sharing, Lee!! These are the new releases that caught my eye last week (in order of publication date). What did I miss? Be sure to tell me what books you were excited about last week! Milestone is not a town that can be found on any map. Those who are aware of the place avoid it, and those who call it home treat it with a respect borne from fear. A once thriving mining town, the legends of myriad horrors operate as a warning to those who seek to cross its borders. After his friends disappear, Warwick Tanner, an old man whiling away his days outside a liquor store, is forced to go find them, which means crossing into the dreaded town for the first time, a town marked by a sign that proclaims that: THERE ARE NO MIRACLES IN MILESTONE. But Warwick will quickly learn that there are plenty of miracles in Milestone, and plenty of horrors, all of which he will encounter in his search. 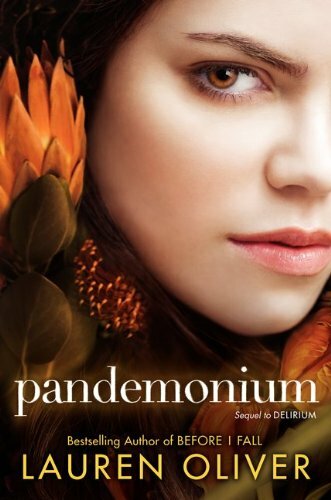 Trapped within the town's fog-shrouded borders as the few remaining citizens, both living and dead, natural and supernatural, prepare for Milestone's anniversary, Warwick will realize that his coming here was not an accident. Because the town knows something about Warwick that he has chosen to forget. A secret that perfectly qualifies him to become part of Milestone's accursed, and inescapable history. Journeying down valleys and over barren hills, Cass remains torn between two men. One—her beloved Smoke—is not so innocent as he once was. The other keeps a primal hold on her that feels like Fate itself. And beneath it all, Cass must confront the worst of what's inside her—dark memories from when she was a Beater herself. 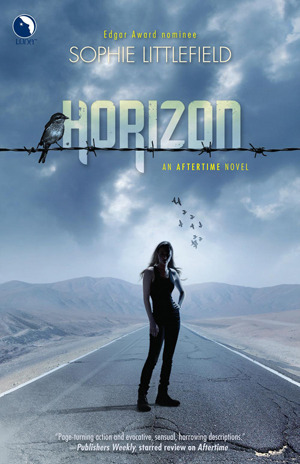 But she, and all of the other survivors, will fight to the death for the promise of a new horizon…. Across the Universe is a YA dystopian space mystery from Beth Revis. I'm going to say right off the bat that I did not enjoy this book. I found many things regarding the characters, the plot, the science, and the technological advancements of the spaceship to be completely illogical and highly frustrating. The people aboard the humongous spaceship of Across the Universe are at least 10 generations of descendents from the people who left Earth 250 years ago to travel to the new world. These people, however, are still fixated on the Earth and still using Earthly terms to describe things like Amy's "sunset" hair when they've never even seen a sunset. They find exercise to be unproductive, yet instead of looking like the folks from Wall-E, they have the kind of hot muscles and carved biceps you can see through clothing. The ship - 250 years later - is now far more advanced than it was when it left Earth. Where did they get all of the new materials and manufacturing capabilities out in space? I'd also love to know why they can create these amazing technologies but aren't capable of splicing some wires together that get cut on the ship. I would really love to give bigger examples, but I'm about to enter into spoiler territory so I'll just say a lot of things made no sense to me at all. There are a couple of redeeming qualities to Across the Universe. It's a fast paced read. Despite the numerous flaws, it did hold my interest until the end. I don't know that I will be joining anyone in reading A Million Suns, but I do have hopes that the series could improve from here. 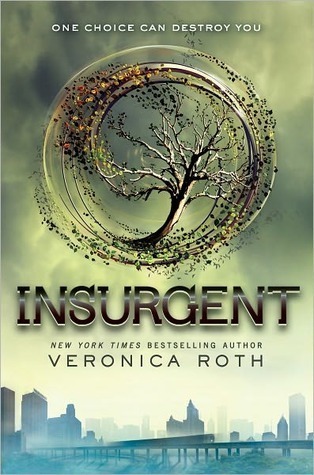 The dystopian framework has already been laid, and the characters have the potential to be likeable going forward. 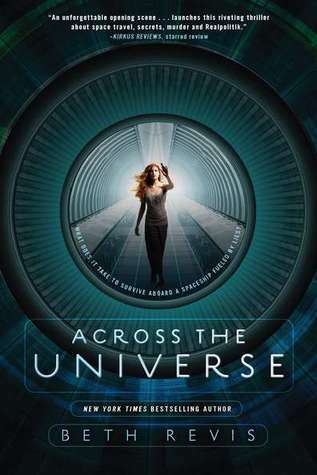 If you enjoy reading dystopian for the sake of dystopian, Across the Universe provides a new premise within the genre. I would most compare this book to Lauren DeStefano's Wither. They have a similar appeal despite their flaws in logic. Have you read Across the Universe? Were you able to successfully suspend your disbelief? I am very excited about two things today! 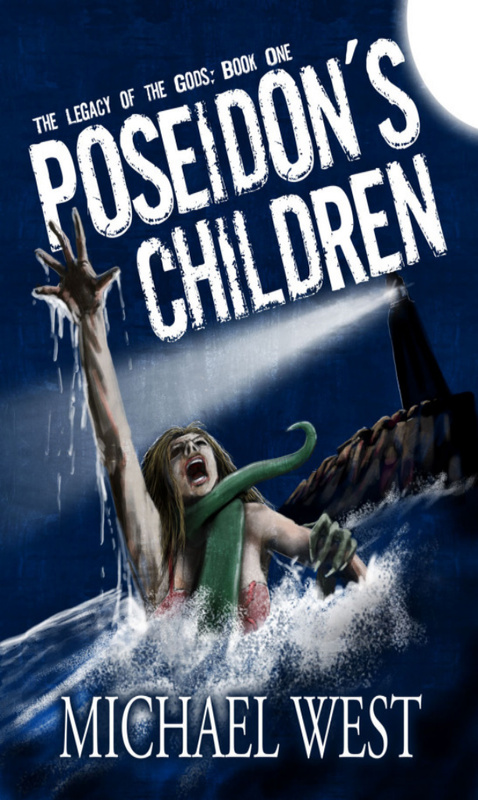 First, I had the opportunity to do a quick interview with Michael West, author of The Wide Game, Cinema of Shadows, and the upcoming Poseidon's Children. Second, I have a fabulous giveaway for three lucky readers! Seventh Star Press is giving away ALL EIGHT (8) of their new Seventh Star Singles short stories. That's an awesome prize. Seventh Star Press has released a fun series of stories called Seventh Star Singles. Can you tell us a little bit about this series? How do your Seventh Star Singles stories Goodnight and For the River Is Wide and the Gods Are Hungry tie into your novels? They're stand-alone tales that require no previous knowledge of The Wide Game or Cinema of Shadows to enjoy. They are set in the same small town of Harmony, Indiana, or involve people who attend the local college, Stanley University, but that is the only tie they have to the novels. 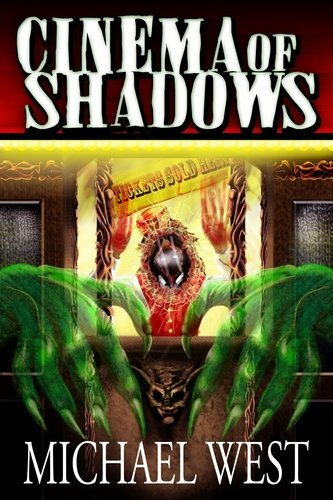 I really enjoyed reading Cinema of Shadows. Do you have plans for more books set in Harmony? Oh yes. In fact, I'm writing the next Harmony, Indiana novel right now as we speak. It's called Spook House. The Harmony fire department works to turn an old farmhouse into a haunted attraction. Growing up, there was always that haunted house put on by the local Jaycees to raise money. So much fun! But, since this is Harmony, the house they've chosen sits atop a gateway to another dimension, and there are some nasty things on the other side of that doorway that have been waiting a long time to get out. Robby Miller (The Wide Game, Cinema of Shadows) really takes center stage this time out. He's been a supporting player up until now, but this is his novel, and we get just a little bit of set-up for the climactic battle of good vs. evil that will take place in the final Harmony novel, Field of Screams. That sounds awesome! Obviously, I cannot let you go without asking about your upcoming series The Legacy of the Gods as well. What can you tell us about Poseidon's Children? Excellent! Thank you so much for taking a moment to tell us about the Seventh Star Singles and for giving us the scoop on your upcoming releases! 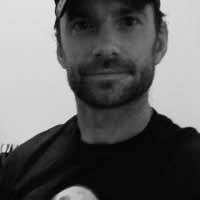 For more information about Michael West and his books, please visit his website at http://www.bymichaelwest.com. This contest will be open until January 31, 2012. Once the winners have been selected, Seventh Star Press will contact you to ensure you get the ebooks in your preferred format. This is my first time using Rafflecopter. Please let me know if you have any issues! Be sure to click Read More>> if you don't see the Rafflecopter entry form. I'm happy to welcome A.J. O'Connell to Book Den today! Sometimes I hear writers saying that they want to throw out stories that they wrote a long time ago, things that might be old or embarrassing or that the writers for some reason no longer like. Please, I want to tell them, please don’t do this. I wrote the first draft of my novella Beware the Hawk in 2003 and 2004 while I was working with my very first writing group. It was my first attempt at getting serious feedback on a piece of writing. At the time I was just learning the ins and outs of telling a story. I was figuring out how to write dialogue and learning to build scenes. Then for some reason, five pages from the end, the project was abandoned and ended up in The File. If you’re a writer, you have some equivalent of The File. Maybe for you it’s The Drawer or the Box or maybe even The DropBox, but it’s the same thing. It’s like prison for creative ventures - it’s where your projects go to cool their heels until they are rehabilitated, or maybe, if they are very bad, to die. For me, it’s The File, a file folder on my ancient Blueberry iBook G3, which currently lives under a couch in my house. In the following years, I thought — every once in a while – about paroling Beware the Hawk. I’d think “I should really write those last five pages,” but I never would. The most I’d do would be to review the piece, see how much my writing had changed and how much work the piece needed. Then I’d close the file and shove the iBook back under the couch. About a year and a half ago, I briefly considered emptying The File for good, deleting everything that I had written before joining my Masters of Fine Arts graduate program in 2009. The stories weren’t good enough, I thought. They were written before I knew what I was doing, before I had a formal education about literature, and before I understood that adverbs were bad. They didn’t meet my current standards. But something stayed my hand. And that was lucky, because, last summer, a friend, now an editor with a small publishing company, asked me to send her a copy of Beware the Hawk. She remembered it from the old writing group, of which she was also a member, and was thinking about releasing it as an e-book. I was ecstatic, but I also dragged my feet when it came to revisions. The task seemed too big. The writing seemed too different from my current style. I was also nearly 10 years older, and the things that were important to me when I first wrote Beware no longer influenced me in the same ways. It seemed like I’d have to write a new book, but I didn’t count on something. After a few days of rewrites and edits, I began to notice that the book’s eight years in The File had somehow not been wasted. For eight years, the story had been dormant, but marinating in my brain. The characters had been growing and deepening without my knowledge, and when I began to work on them again, I found that I understood them better than I had in 2004. I found that I had more compassion for Leo, the spy with the substance abuse problem, and tolerated less crap from my protagonist. I also found that the settings had developed more fully in my mind’s eye. I could see them more clearly now than when I invented them. I had grown, but my story had grown with me. When I realized that, the rewrites were a lot easier. This was all a surprise to me. In grad school I’d been concentrating on writing and workshopping two literary novels. I never thought that something from The File would be published first. So authors, please don’t get rid of the projects you’ve consigned to your File. Bring them up for parole once in a while. One of them might get a new lease on life. Thank you so much for sharing your story with us, A.J.! 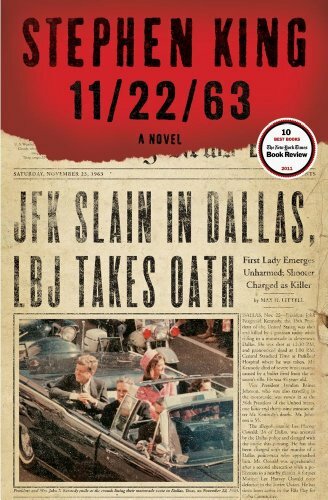 11/22/63 is an epic time travel/historical fiction novel from Stephen King. It's been a long time since I've grieved this hard over finishing a book. 900 pages and I wasn't ready to leave. I finished reading 11/22/63 last night, and when I woke up this morning, I still wanted to cry. 11/22/63 brought me through an entire range of emotions: happiness, fear, sadness, nostalgia, goosebumps, laughter... I made friends, and I lost friends. 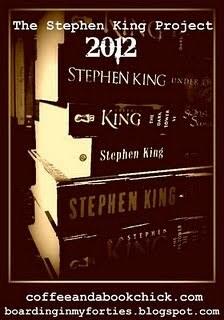 According to Goodreads, I've now read 43 Stephen King books. 11/22/63 is ranked as one of my favorites. If you're a fan of Stephen King, you can't not read this one. Whether you're a King fan or not, 11/22/63 gets my highest recommendation. 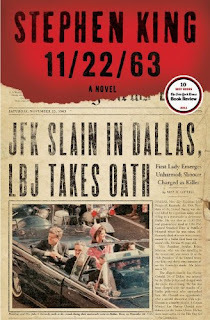 Be sure to let me know when you do read 11/22/63. I'd love to hear your thoughts. It will hold me over until I read it again. Are you a King fan? Have you read 11/22/63? This post is being shared as part of The Stephen King Project. Grace over at Feeding My Book Addiction is hosting a read-along of Stephen King's 11/22/63 through this month. If you haven't read it, please be aware this post will contain major spoilers. I will say to you now this book is awesome. You should go grab a copy and join us. If you have read it, feel free to jump in the comments with your thoughts! This book is fantastic. I really thought I was going to read this throughout the rest of the month along with my other reads but I'm so hooked you couldn't make me stop reading it. This is actually the kind of book you want to call in sick to keep reading. I was surprised by how fast the time travel stuff came into play. I love when a book jumps straight into it. At first it seemed a lot like Groundhog Day with Al explaining how the past reset each time, but then... I still get goosebumps thinking about it. The Kennedy plan, the way Al tried saving that girl but it got reset, the way he did save that girl (happy ending! ), then what?... wait... why is that girl in a wheelchair?... Jake got a rootbeer!! I have no idea what to think of the yellow, orange, black card man. He really gave me the creeps from the beginning. I wanted Jake to follow Al's advice to a tee. He scared me. Then the whole black card throat slit thing... I wonder if Jake could even return to the past if he wanted to? It makes me feel like this is his only shot at it. I'm also a little worried about him finding the steps to go home! I really should have written this post when I finished Part 3. I'm on page 694 and all of my thoughts of the first half and the second half are running together. I will say I love that the past is obdurate. It's helping make this one hell of a story! Are you guys loving it? What do you think of the yellow card man? The Dampness of Mourning is the latest horror novel from Lee Thompson. I keep wanting to say "for fans of Lee Thompson! ", but no kidding, right? Seriously, if you've read and loved anything by Lee Thompson, you won't be disappointed with The Dampness of Mourning. The Dampness of Mourning is the second book in the Division series after Nursery Rhymes 4 Dead Children. In Dampness we are brought back to Division - a pretty messed up town like Stephen King's Derry - for a deeper look at the evil that dwells there. 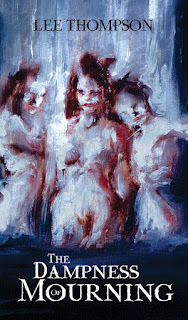 All of Lee Thompson's works are pretty stand alone yet they are all part of a much bigger mythos Thompson is creating. I personally recommend you read Nursery Rhymes 4 Dead Children before reading The Dampness of Mourning, but hooray for me for having read Crooked Stick Figures, Before Leonora Wakes, and Beneath the Weeping Willow, too, because all of these stories tied into The Dampness of Mourning. Awesome. So... if you love Lee Thompson, The Dampness of Mourning will give you even more to love. If you've been wanting to read something by him but you haven't, you need to jump on board. I look forward to everything he writes. There were some great releases this week. These are the new releases that caught my eye. What did I miss? Be sure to let me know what books you were excited about this week. After Angie Chandler's husband dies in a car crash in which she was driving, her life comes undone. Though her soul mate is gone, her memories of Paul linger as she tries to recover at their secluded wooded estate. Ostracized from Paul's family--the only family she has really known--Angie's life spirals down a dark path of alcohol and pills. In the blur of constant self-medication, Angie is in no position to know what is happening to her. Or is there another possibility, something far worse? A BROKEN FAMILY: Cass is trying to rebuild her life after the loss of her soldier husband, and a renovated mill in the picture-perfect village of Darnshaw looks to be the idyllic spot to bring up her traumatised son. A DARK SECRET: But the locals aren't as friendly as Cass had hoped, and Ben is beginning to display a hostility she can't understand. Then the blizzards blow in, and Darnshaw is marooned in a sea of snow. ISOLATED: Now, threatened on all sides, Cass finds herself pitted against forces she can barely comprehend. Anna Winterson doesn't know she's a witch and would probably mock you for believing in magic, but after moving to the small town of Winter with her father, she learns more than she ever wanted to about power. When Anna meets Seth, she is smitten, but when she enchants him to love her, she unwittingly amplifies a deadly conflict between two witch clans and splits her own heart in two. She wants to love Seth, to let him love her - but if it is her magic that's controlling his passion, then she is as monstrous as the witch clan who are trying to use her amazing powers for their own gain. How fun is this?! I get to be featured at Parajunkee today for Follow Friday! I love connecting with other readers. I hope you'll say hi while you are here so I can get to know you and follow your blog! I got a little freaked out when I read today's question. Just the thought of having to pull all of my books off the shelves to count them... My "to-read" shelf on Goodreads only has books that I actually own so I will start with that number: 151. Do you have any books calling to you from your TBR shelf? You can get all the details and sign up here. 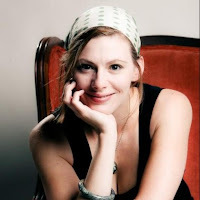 Natalie over at Coffee and a Book Chick has recently become a fan of Stephen King. As you can imagine, she now wants to get her hands on more of his books. She has joined up with Kathleen from Boarding in My Forties to host The Stephen King Project. Stephen King movie adaptations count as well, but you should post more book reviews than movie reviews. I'll be joining in with my review of 11/22/63, and any success that may come from The Dark Tower Reading Challenge I will detail below this one. You can find all of the details regarding The Stephen King Project here. 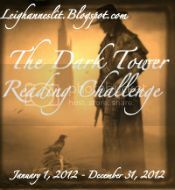 Leighanne's Lit is hosting The Dark Tower Reading Challenge. Some of you may remember I was making my way through The Dark Tower series at the beginning of last year. I'm currently stuck somewhere within The Wolves of the Calla. I've been pretty open about my struggles with The Dark Tower. I did enjoy The Drawing of the Three, but my journey for The Dark Tower has not been an easy one. According to Goodreads I have read 42 Stephen King books. Reading The Dark Tower is more of a Stephen King completist goal for me. If The Dark Tower has eluded you and you want to take up the journey with me, you can find all of the details for The Dark Tower Reading Challenge here. I started a lot of new series last year. Even though a lot of them were by accident, I couldn't help but get hooked. These are the top 10 books in a series I am looking forward to reading in 2012. This post is shared as part of Top Ten Tuesday at The Broke and The Bookish. What series are you looking forward to continuing in 2012? 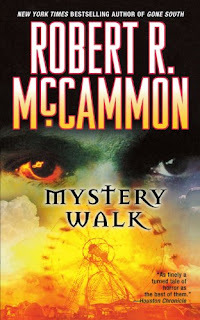 Mystery Walk is another epic read from Robert McCammon. I have a strong desire to read The Five again. I can't help but wonder if the shapeshifter from Mystery Walk is the same evil that is in The Five. 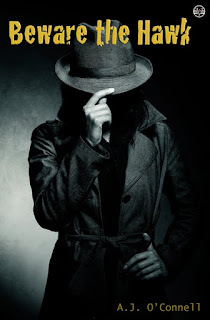 Mystery Walk has everything I love in a story: coming of age characters, good vs. evil, ghosts, suspense, scares... Like all of McCammon's works, Mystery Walk is a huge story I was able to lose myself in. 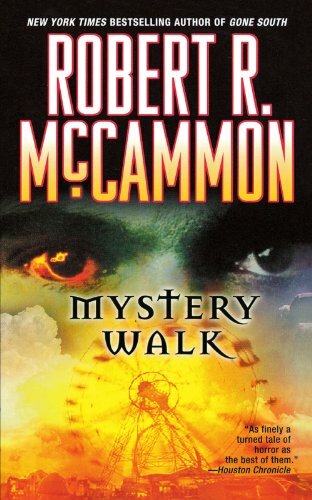 If you are a fan of McCammon and you haven't read Mystery Walk, you need to read it. If you aren't familiar with McCammon but enjoy books like Justin Cronin's The Passage, you would also enjoy Mystery Walk. 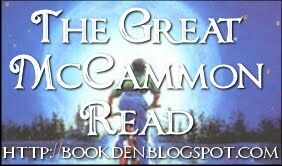 If you'd like to learn more about McCammon's books, you can find all the details of The Great McCammon Read here. This month I'll be reading and reviewing Usher's Passing if you'd like to join me!